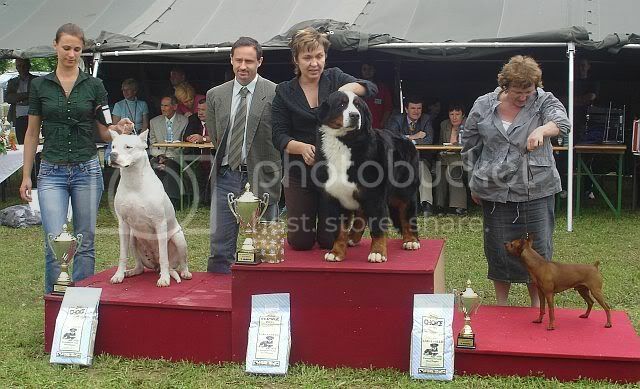 Those are some great looking dogs you have there is good to see Dogos all over the world. Late but welcome, congratulations your mastiffs are wonderful and your work is brilliant! !, I congratulate you and wish you the better thing for what you tackle!!!. Are you coming to sweden in July for WW? Luck thank you very much. If you come to Eurodog, you will probably see Cholita. I have to see will I enter her or her sister Chunchu, still I am not sure. I like cholita,is beautifull like you . Congratulations , cholita's mothers is also nice. congratulations!! you have a wonderful dog! 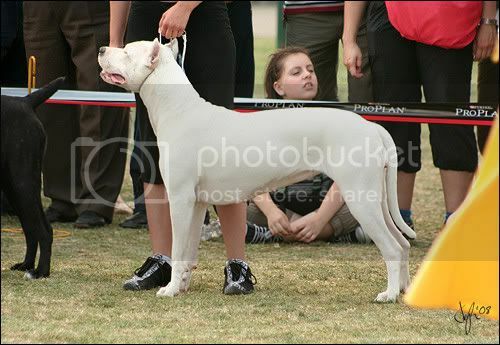 I love that picture with the Mexican Hairless and the Dogo on the same pedestal! Good looking Dogos, what are their Blood Lines? You have all informations on my web site. Have great time in Italy!!! !